Let me ask you a question. Do you feel like your life is out of balance? We are constantly filling our life with projects and events. Our schedules are so jammed packed, that we are only getting an average of 6 to 7 hours of sleep. What are we striving for? What are we trying to accomplish? Why are we working so hard and over committing ourselves? Life is just passing by and you don’t even know it because you are numb to it. Our lives are out of balance. We are not stopping to smell the roses. We are not being present in the moment. Everything is going at such a fast pace. What are we trying to prove? When we sit down to take a break, we feel a rush of anxiety taken over because there is always something that needs to be done or a project that’s due. We never enjoy our me time and get a real break because when we do, our minds are racing 100 miles per hour. Some of us are in too deep. We’ve dug a ditch so far down, that we need help to get out of it. This is a sign that your life is out of balance and you need to bring order back into your life. You have taken on too much. Balance is something you have to work on often. Just because you bring order back into your life doesn’t mean it is going to stay that way. You have to intentionally stay on top of things that will bring your life out of balance and learn to say NO! So here are 4 things you can do right away to bring balance back into your life. The 1st thing you can to do is declutter your schedule. Look for areas in your life where you can cut non-profitable things and commitments out of your schedule. Just because it is a good thing to be a part of, doesn’t mean it is a God thing for you at this time. The 2nd thing you can do, is declutter your environment. Things have piled up in your environment because you have been too busy to tackle it. When you walk into your home or your place of business/work you should walk into an atmosphere of peace. Clutter can rob us of our peace because it is another reminder that we have unfinished project that needs our attention. The 3rd thing you can do is learn to calm the mind down. After going for so long, your body and mind is use to being over stimulated and active, because you have trained it to react this way. Now you have to retrain your mind and body to live in peace, calmness and tranquility. Play some beautiful praise music and just be still. Bask in God’s presence. At first your body and mind is going to want to do something but just be still and tell your mind to calm down. Tell yourself you are right where you suppose to be in this moment. Practice stillness everyday and eventually the body and mind will crave for it. I hope this blog post have been helpful to you. 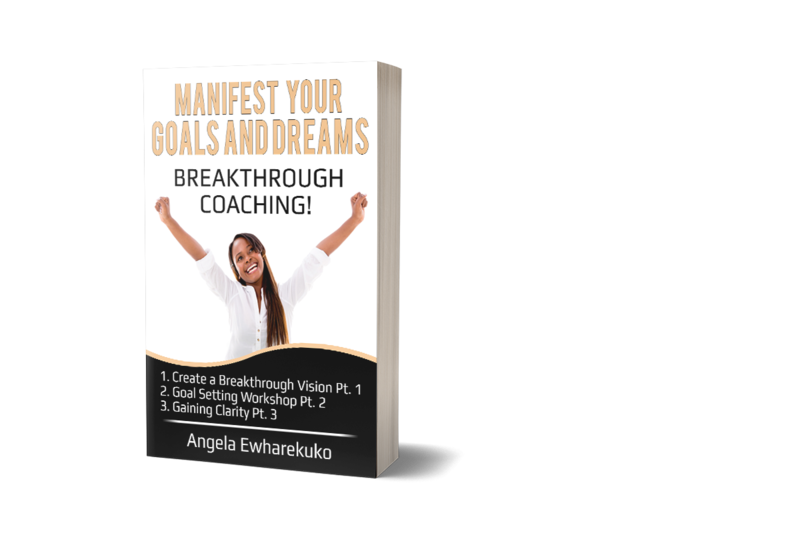 I would love hear from you, don’t be shy, leave a comment and subscribe to Breakthrough Blog 4 Women. Follow me on my social media links down below to get to know me better. Click here to follow me on Instagram.